Vans or sedans are to be reserved by faculty/staff only via the IPool Fleet reservation system. To reserve a vehicle click on the State Vehicle Reservations Login link above. When reserving a vehicle, faculty/staff must be in the I-Pool system. To be entered into the system, a certified driving record & Authorization to Drive form must be on file with the University Police Department before reserving a vehicle. Authorization to Drive forms are located in the Forms page. For multiple reservations reserved for the same day and time require a different driver listed for each reservation. Vehicles may be reserved for use by recognized student groups; however, the reservation must be made by the advisor, not the student member of the group. Graduate Assistants may reserve state vehicles on the same basics as faculty/staff. Review Rules & Regulations. Click Next. Click on Reservations Icon. Enter reservation information. All fields are required.Click Next. Select vehicle (sedan or van) Bus reservations are handled through the Athletic Department. Click Next. Equipment Availability screen will appear. System will advise if equipment is available or not available. Click Next (if available) to confirm reservation. Print off the confirmation sheet and bring with you when checking out the vehicle. If the system advises no vehicle is available - print and attach to an Accounts Payable For & Against form. This form is required by the Accounts Payable Office for reimbursement. Click on Review Reservations Icon. Change Reservation: Click on the check mark next to reservation number. Screen will appear, make change, click on check mark (at top left hand corner) to save. If change is not valid, system will notify. View Reservation: Click on View can next to reservation number to view data. Click on the X to cancel reservation. Travel beyond 900 total miles will be subject to the current rate per mile charge. This travel is inclusive all incidental travel (mileage involved in obtaining meals, to and from lodging, side trips, etc.) as well as roundtrip travel to and from the main destination. See the Travel Policies & Common Rates Page for the current University System of Maryland travel reimbursement rates. Upon at least one week’s notice, Enrollment Services will be given priority consideration for two cars. Upon at least one week’s notice, Education Professions will be given priority for one car. Upon at least one week’s notice, priority will be given for two cars for instruction beyond the Frostburg/Cumberland area. Upon at least on week’s notice, the Biology Department will be given priority for one van. The university’s buses are reserved through the Athletic Department Secretary. Reservations for any vehicle may not be made more than six (6) months in advance. Reservations are subject to cancellation, in view of the priorities detailed above, breakdowns, or other unforeseen circumstances. Exceptions may be made only by the President or the President’s designee. Van Safety "Coaching the Van Driver II"
The University Executive Committee has adopted a van safety program, based on a National Highway Transportation Safety Administration advisory. Vans are not to carry more than ten (10) individuals (9 passengers plus the driver.) In addition, drivers must have either a CDL License or must review & pass the Van Safety Drivers Course. A 45 minute training session is offered with a final exam at the end of the session. The exam will be forwarded to the University Police for review. An email will be sent to the driver advising authorization along with a certificate of completion mailed to the driver. Vans are only assigned to groups of five or more, or for transportation of equipment. Bus reservations are made through the Athletics Department. Contact 301-687-4455. Approval for authorized student drivers for official university business must have a certified driving record in addition to a Student Authorization to Drive Form on file with the University Police. Student driver authorizations expire every (12) twelve months. The department requesting such approval should be aware of the need for advance notice amounting to as much as two weeks before the student can be cleared. Students generally have shorter driving histories than faculty and staff. Therefore, no student who has a current assessment of any number of “points” for moving violations against his/her license will be cleared to drive state vehicles. Exceptions to this requirement may be made by the Chief of Police after a review of an individual’s driving history. 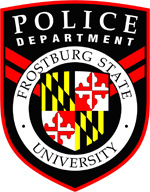 Visit the FSU User Guide for State Vehicles for complete information.